LAW OFFICES OF MARINA SHEPELSKY, P.C. is a New York based firm of experienced U.S. attorneys. Our expert attorneys assist individuals and corporations with all matters that relate to U.S. Immigration, Naturalization, Visa and Consular Law. We work hard for our clients to achieve success in every case. Our goal is to make your American dream become a reality and allow families to live and work legally in the U.S.
At Law Offices of Marina Shepelsky, P.C. we treat all our clients with care, careful consideration, honesty and respect. We handle cases for clients throughout the United States and from across the world. We handle complex deportation and immigration court cases. In addition, we handle cases for detained aliens. Making It Possible for You to Enter U.S. Legally and Legalize Your Status in U.S. Law Offices of Marina Shepelsky, P.C. attorneys work hard to help you come to the US and lawfully stay in the US. We analyze each case with careful precision and approach each situation from different varied angles to make sure to maximize each client's chances of success in achieving their goals. 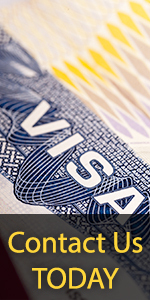 From start to finish, your case is handled by experienced lawyers dedicated to exclusive practice of immigration law. Our Best Advertisement is Our Satisfied Clients At Law Offices of Marina Shepelsky, P.C. we value each client and realize that people's lives stand behind every page in their files. We make it our focus to return every telephone call and every inquiry quickly and with the fullest answer and all current updates. Our cases do not get unfairly delayed by years of neglect and frustrating mistakes. Expert Legal Services at Reasonable Cost Our goal is to provide top notch expert legal services for our clients at affordable rates. We understand that many of the immigrants that turn to our offices for legal assistance are not wealthy and work hard for every dollar in their pocket. This is why we make sure to provide the highest quality assistance to every client and ensure that our legal fees are the best investment you ever make in yourself and your family's wellbeing. Individual and Corporate U.S. Cases Welcome Large corporations, small firms and mid-size companies turn to Law Offices of Marina Shepelsky, P.C. for professional assistance with the needs for their employees. Employers know that they can trust Marina Shepelsky, Esq. and her legal staff with their key employees and their families' immigration cases. At the same time, no case is too small for us as and we happily assist individuals with obtaining visas, adjustment of status, naturalization, permanent residence and asylum. We work hard and succeed! Providing Educational Resources in U.S. Immigration Law Our one-of-a-kind website WWW.E-US-VISA.COM provides in-depth information about all aspects of U.S. law. www.e-us-visa.com has the latest immigration news straight from USCIS, experts' “how to” articles, filing information, valuable insight in the processing of visas, and free fillable forms. From top to bottom, our internet site is a leader in the immigration law industry. We have answers for all your U.S. immigration questions. Experienced Immigration Trial Attorneys Our attorneys handle the most complex removal and deportation cases in the U.S. Immigration Courts, Board of Immigration Appeals and in the Federal circuit courts. We have a solid track record of success in our trial work and in our appellate practice. Law Offices of Marina Shepelsky, P.C. take pride in being true leaders in the practice if trial and appellate U.S. immigration law practice. Even if your situation appears to have no hope at first glance, do not despair. Trust our experienced attorneys to analyze your case and give you an in-depth honest analysis and options for legalizing in the United States. Please be aware that currently there is no Amnesty. However based on prior proposal, congressional bills and a change in Washington, D.C. balance of power; it is very possible in the near future. Stay tuned for the developments. How Do I Apply for Resettlement in the United States as a Refugee? How Do I Become a Lawful Permanent Resident While In The United States? How Do I Become A Vocational Student In The United States? How Do I Become an Academic Student in the United States? How Do I Change My Fiance(e)'s Status to Lawful Permanent Resident? How do I extend my stay?